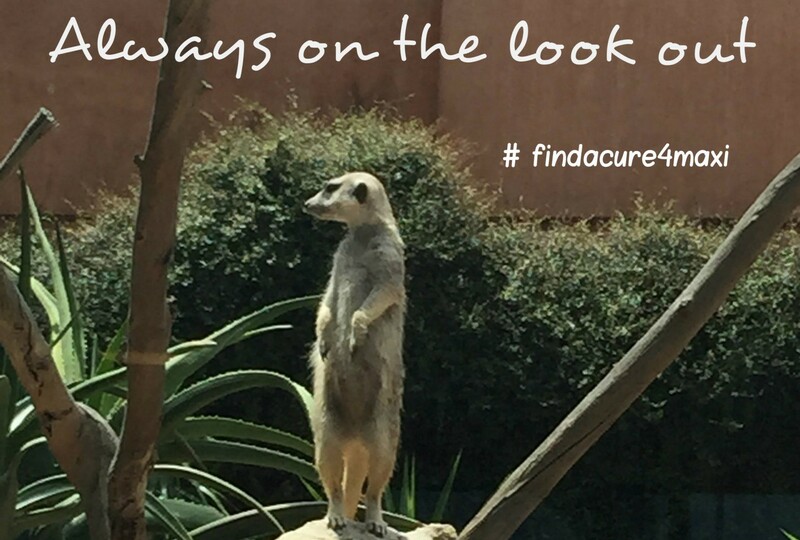 childhood illness – What's wrong with Maxi? Smart Pup for Maxi FaceBook Page launched today. 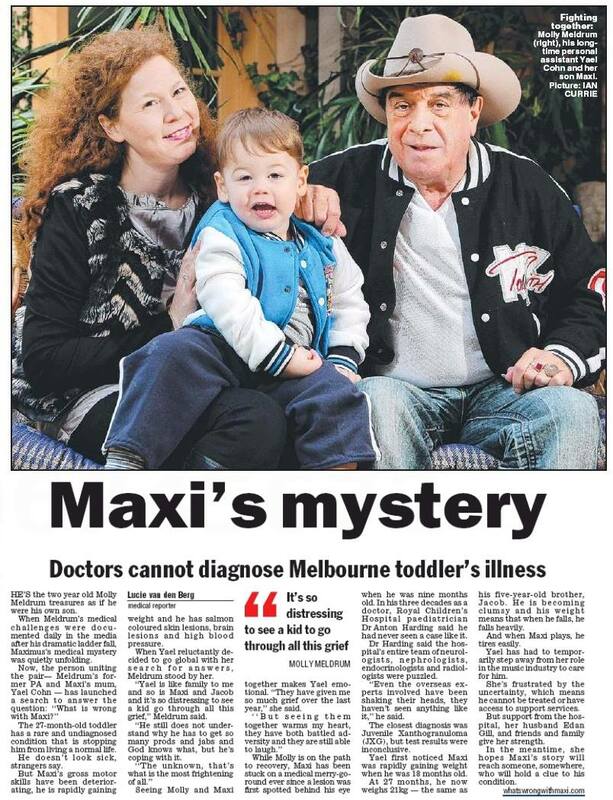 18th May, 2013 – Still no closer to a diagnosis for Maximus but a huge day for us in spreading the word. 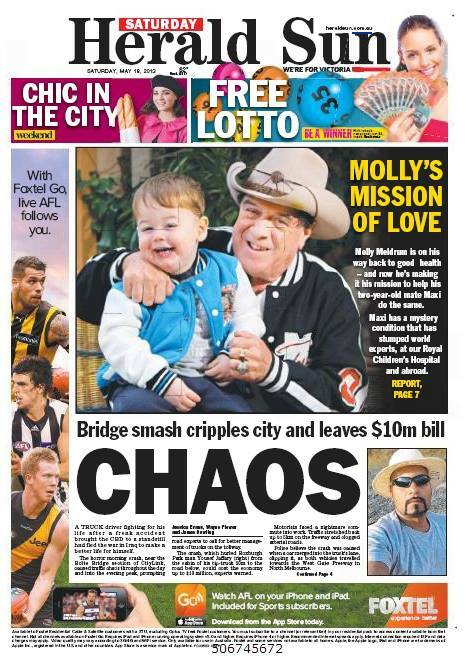 First we woke up to our baby boy on the front cover of the Herald Sun newspaper!